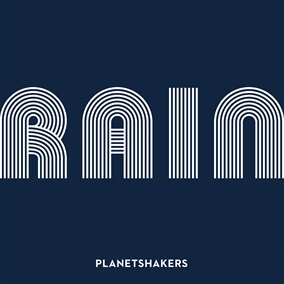 NEW from Planetshakers - "Rain, Pt 1"
In addition to the MultiTracks.com Session released on Monday, Planetshakers releases their brand new EP, Rain, Pt 1, globally today. The new four-song digital EP from Planetshakers was recorded in Melbourne, Australia at Planetshakers Church and features over 27 minutes of music. A tangible, intentional expression of worshippers collectively pursuing the presence of God, Rain, Pt 1 is led by Planetshakers’ worship leaders Sam Evans, Aimee Evans, Joth Hunt (who also produced and mixed the EP), BJ Pridham, Rudy Nikkerud, Chelsi Nikkerudand, and more. Original Master MultiTracks and other worship-leading resources for Rain, Pt 1 are now available.